(TibetanReview.net, Jan18’16) – Taiwan-China relations appear to be headed for a reset following the election of former law professor Ms Tsai Ing-wen from the independence-inclined Democratic Progressive Party (DPP) as President in the Jan 16 election which also saw the party win a majority of the seats in Taiwan’s parliament. 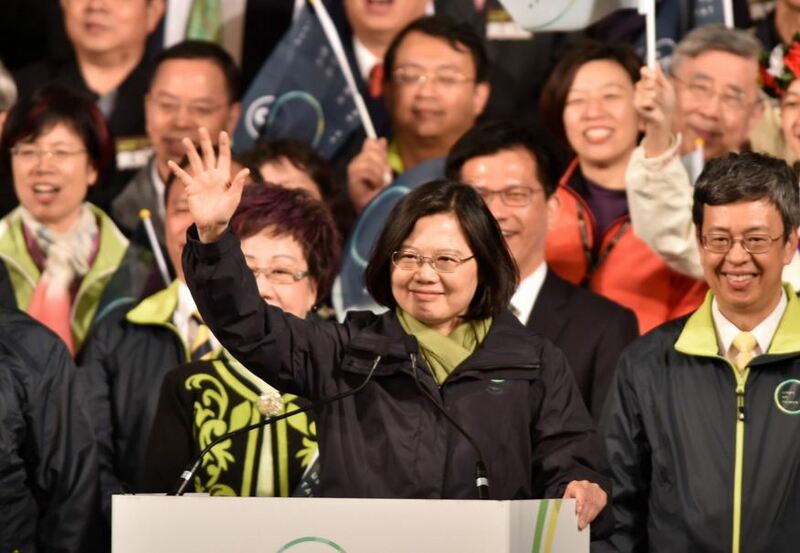 Tsai Ing-wen won 56 percent of the votes, defeating Eric Chu (31%), the President of the pro-unification Nationalist Kuomintang party (KMT), which also lost its parliamentary majority. The DPP took 68 of the 113 seats in Taiwan’s parliament compared to the KMT’s 35. China has reacted to the results by warning about challenges to relations between the two sides of the Taiwan Strait and against any move to secede Taiwan from China. The KMT which once ruled China but fled to Taiwan where it established itself following its defeat by the communists in 1949 after a protracted civil war has for long considered itself the legitimate government of a Republic of China. Communist China, on the other hand, views Taiwan as an integral part of the People’s Republic of China it rules dictatorially. It has vowed to take Taiwan by force if necessary and has hundreds of missiles pointed at the de facto independent island country. Repeated polls have shown that many of Taiwan’s 23 million residents identify themselves as Taiwanese rather than Chinese, and there is broad political support for de facto self-rule, if not formal independence, noted a Radio Free Asia (Washington) report Jan 16. And the KMT government’s aggressive building of ever-closer relations with China has been seen as a grave threat to that status quo although its position is that unification is possible only after China becomes a democracy which respects rule of law and the human rights of its citizens. The report noted that Taiwan was governed separately from China throughout the Japanese occupation (1895-1945) and since 1949, and has never been part of communist China. China’s official Xinhua news agency said in an editorial that there was “no denying that the DPP’s return rule poses grave challenges to cross-strait relations.” Also, a Xinhua news report Jan 16 said the news of the election results had raised concerns about the development of the relationship between the Chinese mainland and Taiwan and doubts about the mainland’s policies concerning affairs across the Taiwan Strait in the past eight years. And China’s Taiwan Affairs Office has said Beijing was willing to have exchanges with any party, as long as they recognize both sides of the Taiwan Strait belong to one China and would not tolerate any Taiwan independence activities. The new president will take over from KMT’s Ma Ying-jeou, who will step down on May 20 after serving two four-year terms.